Raven is commencing her show career in 2017 at Masterkarn kennels. This young girl is a stunning girl and is only just entering the show ring. Raven started her career with a few local shows at 5 months old this year. Her first major show was Queensland Winter Classic where she took home minor in Group. Her career highlights are ​class in group in Minor and puppy beating worthy opposition. At 9 months she was ran for a place in BIG just missing out and gaining a group 4th. 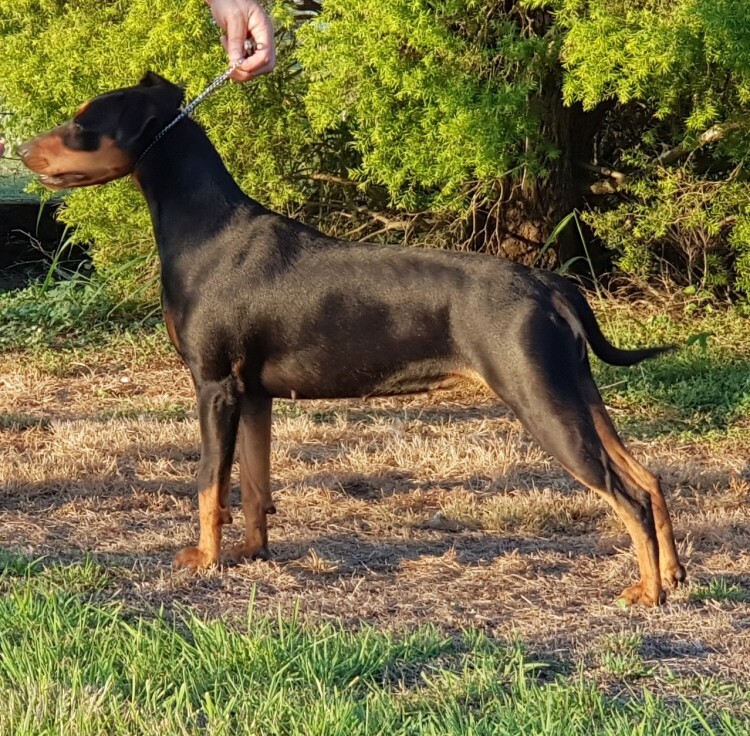 Raven is a lovely young black/reddish tan female of outstanding conformation​​ and a very happy to please temperament for her owners. 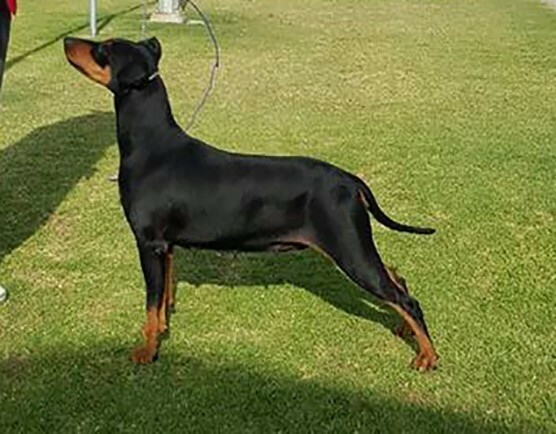 Raven is a feminine well built young female with her sires attributes to complement the conformation and type of her dam. She is out of the lovely NZ and Aust. Champion Masterkarn Echo of Pure Dance-Marley and the handsome Aust Ch. Daveren's Mythic Legend at Masterkarn ) IMp USA)-Odin. Raven is strongly aligned as a lovely blend of both of her parents. A solid but elegant female with great ring presence and like her dam loves to perform for you. A nice neck flowing perfectly onto a very lovely top line. Her movement is balanced, graceful and sound. Her personality is very loving and affectionate and guarding. Raven is a charming young girl eager to please her owners. She is very intelligent, with a willingness to learn. 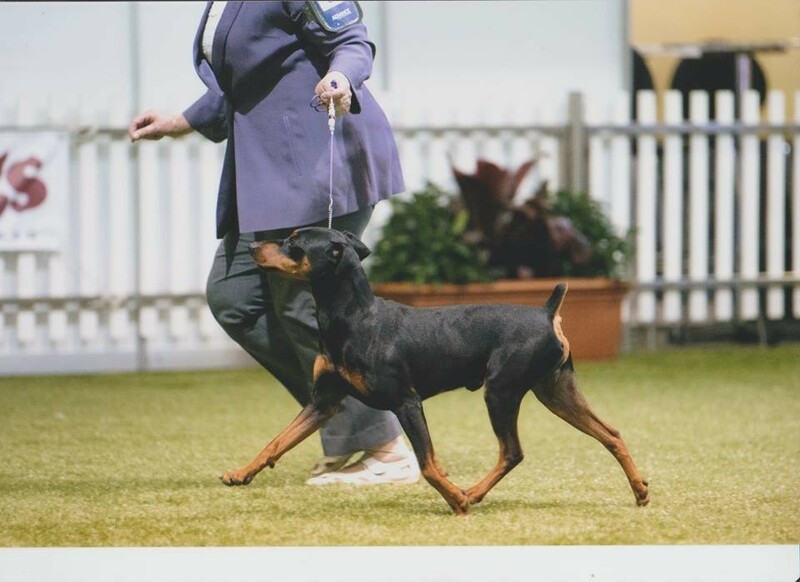 ​Sire: Aust Ch Daveren's Mythic Legend at Masterkarn ( IMP USA) "Odin"
​Dam: NZ.CH Aust CH. Masterkarn Echo of Pure Dance ​(Imp NZ), “Marley"
Raven has a Correct Scissors Bite with Complete Dentition.